Merkur 3pc. 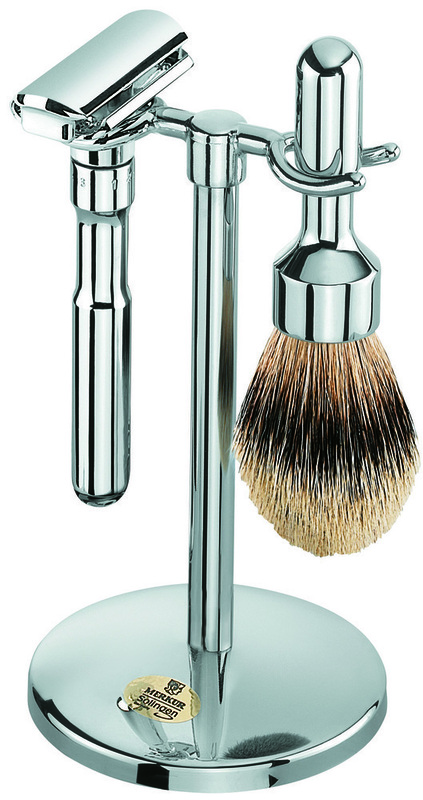 Futur Shave Set, polished chrome - with soap, razor & badger brush and stand. Made in Germany.